A brand new penthouse bar is opening this weekend at the Hyatt Regency Dubai Creek Heights. Called Eve, the rooftop spot opens its doors on Thursday September, 13 and is the latest in a string of character-led restaurants and bars popping up all over the city. Although we can’t say we’re biggest fans of this fictional character trend (a theme Little Miss India, Hotel Cartagena and Miss Tess have all adopted), we do like the look of this new spot. Describing that it’s inspired by ‘a wandering beauty whose Gatsby-esque mystique and decadent lifestyle ensure she’s always the source of intrigue’, Eve will be open from 4.30pm daily and will serve up an extensive menu of cocktails as well as an internationally influenced menu of bar bites. 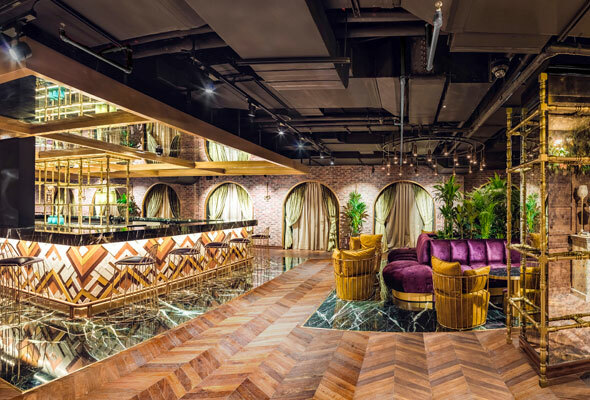 Perched on the 34 floor of the Dubai Creek hotel, the lounge has both in door and outdoor seating, and also advertises that there’s a secret room, for those who can find it. 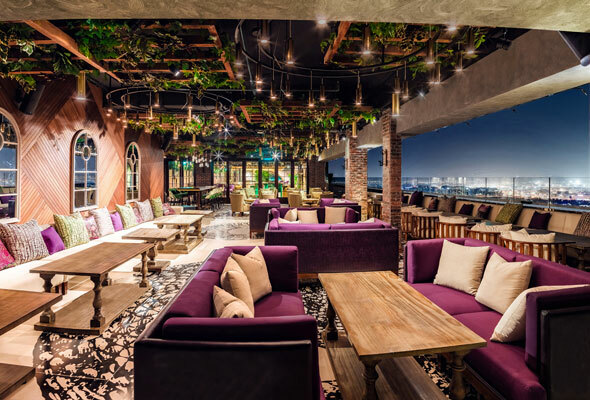 From the expansive terrace, Eve has some pretty stunning views of both old and new Dubai, and is split into long sofa style seating looking out to the city, and a more bar-like area at one side complete with high bar stools. The late-night venue is promising a mix of commercial and house music sets mixed in with some live entertainment too. Whether we meet Eve or not, we’re looking forward to checking this spot out.